For MyMicro NY our latest modular project, size really does matter. See what the experts have to say in this article. Ask any New Yorker about their biggest grievances, and living in a shoebox will likely be near the top of the list. Young Manhattanites tend to talk about their space-starved living situations much like one’s grandparents talk about the war – all despair and deprivation. But here’s a thought: what if smaller apartments actually make for better living? At a panel hosted by the American Institute of Architects’ New York chapter Monday night, three young architects tried to make the case that micro-apartments are not just a possible solution to New York’s affordability crisis, but also fun to live in. The trick, according to the panelists, is to design micro-apartments in a way that makes them “as humane as possible.” Eric Bunge’s firm nARCHITECTS designed Monadnock Development’s 55-unit micro-apartment building My Micro NY, which is under construction at 335 East 27th Street in Kips Bay. The units average 286 square feet, but come with 10-foot ceilings and large windows in an attempt to make them feel less stuffy. “These units can actually feel very spacious,” Bunge said. Perhaps more important to the livability of micro units is common space, according to the panelists. Michael Kim took Brooklyn’s brownstone stoops as an inspiration for the corridors in a micro-unit building he is designing. They will offer space to sit and hang out with neighbors. And while some may consider common kitchens a nuisance, Kim believes they are actually a fun place to meet people. The panelists insisted this kind of shared living holds appeal in the age of Zipcar and Citibike. “The micro-unit definitely lends itself to a specific population where sharing is actually a social and communal benefit,” said Miriam Peterson, a partner at Peterson Rich Office. A member of the audience took the point further, asking if shared living might imperil diversity within buildings, as people tend to prefer sharing spaces with people that are like them. No one seemed to have an answer, although ARExA’s Kim suggested that “maybe ultimately there needs to be someone who oversees the schedule” for common spaces. Just in time for Earth Day, New York’s first micro-unit apartment building, dubbed My Micro NY, is entering its final construction phase. When finished later this year, urbanites will have a chance to live within the center of the city in a brand new building flush with amenities, all for under $3,000. 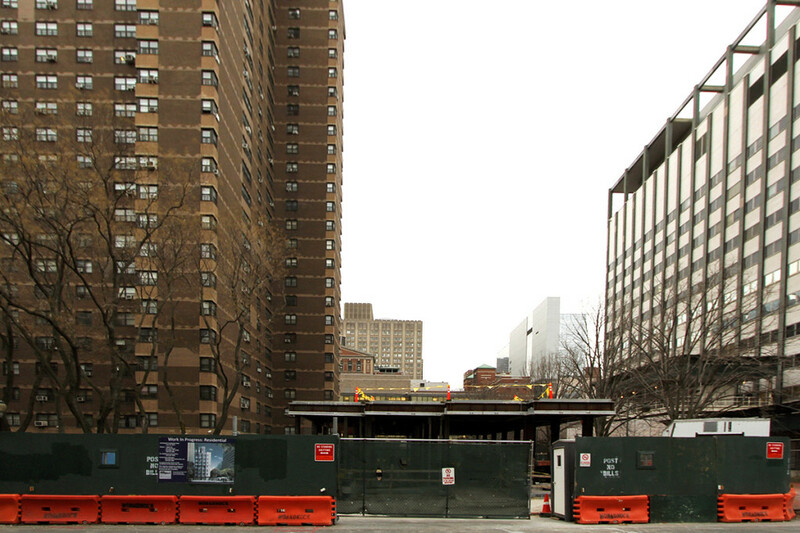 Developed byMonadnock Development and the NYC Department of Housing Preservation and Development, the soon-to-be-nine-story structure wrapped up foundation work this past winter, and a one-story steel platform is ready to receive 55 modular units. The units are currently being built off-site at the Brooklyn Navy Yard by a team of 50 workers. In late May, the units will be shipped to the Gramercy Park lot at 335 East 27th Street where they will be stacked and bolted together along with stairs, an elevator, and other shared spaces. Responding to smaller household sizes and the city’s enormous demand for housing units, the My Micro NY pilot program was spearheaded by former mayor Michael Bloomberg in 2012 as a pilot towards adjusting the city’s building codes to allow smaller units. The city’s minimum legal apartment size is 400 square feet, while studios at My Micro NY will range from 260 to 360 square feet. It’s also seen as a way to reduce one’s carbon footprint. Micro-apartment supporters say that the success of small living quarters relies on intelligent design and proximity to social venues. My Micro NY’s designers, Brooklyn-based nARCHITECTS, simulate spaciousness with 9-foot-8-inch floor-to-ceiling heights and Juliet balconies with laminated glass guardrails to optimize natural lighting. There will be ample storage lofts and full-depth closets. Kitchens will include a fold-down table/counter, full-height pull-out pantry, full-size fridge, a range, and room for a convection microwave. Building amenities will include a gym, small lounge, community room, shared roof terrace, bicycle and tenant storage, and an outdoor garden. Not only innovative for its cozy layouts, the $17 million, 35,000-square-foot project will only be the city’s second prefabricated apartment building, after the Stack in Inwood; and it will be the city’s largest until Pacific Park’s (Atlantic Yards) 461 Dean Street debuts next year. The project developer, Tobias Oriwol, toldAMNewYork that units will be priced at approximately $3,000 a month and twenty-two of the 55 homes will be designated affordable​ for low- and middle-income households. Hold your stomach in! Mini-apartments may be one way to solve New York’s housing shortage. The first floors of a modular apartment building are already in place behind the Barclays Center in Brooklyn. The skeleton of a new apartment module comes together at Capsys’s factory in the Brooklyn Navy Yard. A bathroom in an apartment at The Stack. All fixtures were installed in the factory, not at the site. A kitchen in an apartment at The Stack. Even the appliances were installed in the factory. A model living room at The Stack in the Inwood section of Manhattan. The staggered block design of The Stack was designed to highlight its modular construction. A new apartment building called The Stack is about to open in the Inwood section of Manhattan. By design, it looks like a collection of staggered Lego blocks. On the inside, it’s like any other modern rental building in New York. It has a sleek, simple design. What’s different is that these apartments were not built here in Manhattan, but almost entirely somewhere else. “The paint, the lighting, the kitchen cabinets, the appliances, the bathroom tile, fixtures, mirror, all of that is done in the factory,” says The Stack’s architect, Tom Gluck, with the firm GLUCK+. Gluck has been an architect for years, but this is the first time his firm has built what’s called a modular building. Each apartment comes out of a factory from a company, like Capsys in the Brooklyn Navy Yard. It looks like an auto plant, complete with assembly line run on a track in the ground. “Where we’re building pieces of building like you’d build a car in a factory. You get that repetition, that precision,” says Tom O’Hara, director of business development at Capsys. On one end of the plant, a team is joining steel beams to make the skeleton of a new apartment. On the other end, a crew is putting the finishing touches on a unit. One guy is tiling the bathroom. You could cook in this kitchen. There’s even a thermostat on the wall already. The apartments are so close to finished that they look like you could move in immediately, if they weren’t sitting on a factory floor. But soon, this entire apartment will be put on a flatbed, trucked to the Bronx, then hoisted on top of all the other modular apartments. When the building’s done, you won’t even know it was built this way. There are many reasons proponents like O’Hara think modular construction is better: it’s built inside, away from weather and dirt. It’s faster because you can build the foundation and the building at the same time. There’s much less wasted material. And yet, while it’s popular in Europe, modular construction in the U.S. remains a rounding error, accounting for just a tiny percentage of new home and multifamily construction. He says most people think modular means mobile homes or boring, blocky buildings. To him, it just means it’s built better. “Why would I want my toaster built by a guy sitting on a bench with a ten snip banging things together. I want it out of a factory! Why shouldn’t the building come out of a factory?” O’Hara says. Modular has been seen as the future before, and yet never caught on beyond certain sectors like college dorms and hotels. But nearly everyone I talked to thinks this is the moment that changes. “A lot of it truthfully has to do with this building that we’re standing in front of,” says Jim Garrison, an architect and professor at the Pratt Institute. We’re behind the new Barclays Center arena in Brooklyn, looking at what’ll soon be the tallest modular building: 32 stories of apartments. It’s funded by a big name developer. Garrison says it’s the biggest example that modular is possible, practical, and not necessarily cookie cutter. “We now have opportunities to build very interesting buildings using these systems. And, people are listening to the benefits that come with it,” Garrison says. That’s not to say modular doesn’t have downsides. Because it’s made of boxes, you end up with walls against walls, taking up valuable square footage in the building. Designers have to decide everything on the front end. But more developers are attracted to modular’s faster, and sometimes cheaper construction. And, with new projects in the works, maybe this time is different. It was a tight deal for an even tighter development. M&T Bank recently closed a $10.3 million construction loan for the creation of Manhattan’s first micro-unit rental property to be built in Kips Bay. The loan went to Brooklyn-based Monadnock Construction, which is leading the project’s development team, Mortgage Observer has first learned. The nine-story “My Micro NY” project, located on the northeast corner of East 27th Street and Mt. Carmel Place, will consist of 55 prefabricated apartments averaging about 300 square feet with 40 percent of the units being offered at below market rates. The mini apartments will contain nearly 10-foot ceilings and seven-foot-wide balconies in addition to 16-foot-long overhead loft spaces and full closets. “Modular construction is cost efficient and we believe these micro-units will fill a need in the Manhattan market,” said M&T Regional President Peter D’Arcy. “As one of New York City’s more experienced commercial real estate lenders, we’ve thoroughly reviewed the business case for this project and are very comfortable providing the financial support.” M&T declined to discuss the term and rate of the construction loan, which closed in March. 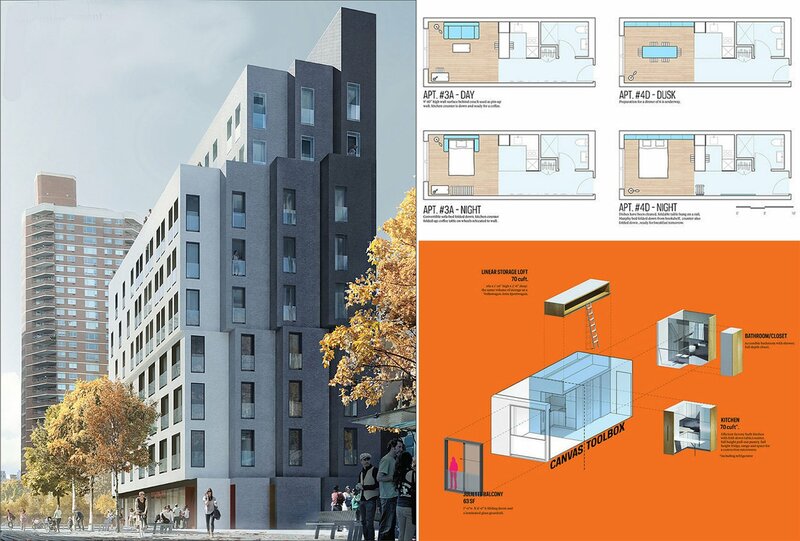 Monadnock and its partners, the Actors Fund Housing Development Corporation and New York-based architecture firm nARCHITECTS, won a competition to build the city’s first micro-units in early 2013. Installation of the 55 units, prefabricated by Capsys Corporation at the Brooklyn Navy Yard, began earlier this year. The micro-units, being installed on the site of an old surface parking lot near Bellevue Park South, are expected to be available for rent in 2015. The ground floor of the completed property will contain 678 square feet of retail space. Additional financing for the $16.6 million project will come through equity provided by the project’s developers and a secondary loan from the New York City Department of Housing Preservation and Development. 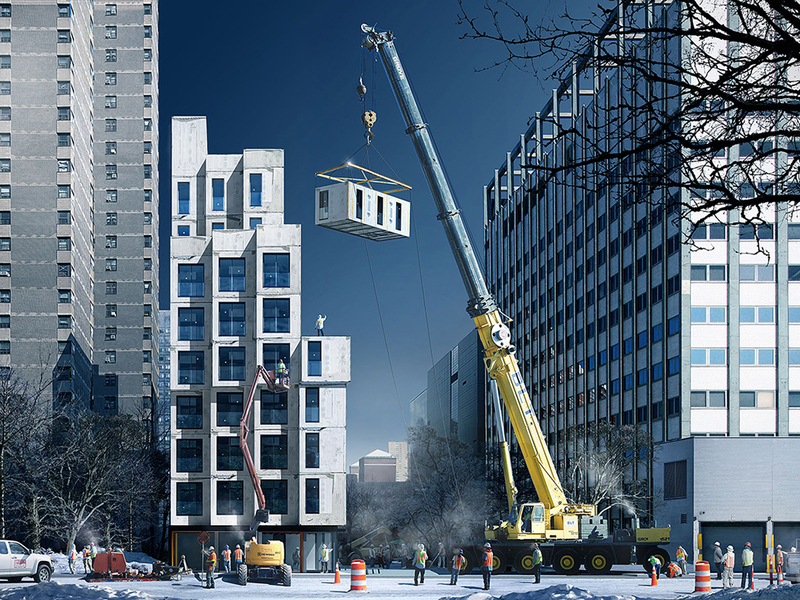 The buzz around Modular construction in New York just keep growing. We were happy to discuss our 18 years of NY modular construction history with the Epoch Times recently and we thought you might like to read the resulting article. NEW YORK—Modular building and prefabrication have been gaining attention in recent years, largely because of high-profile projects and micro-unit housing rolling out in major cities like New York and San Francisco. Former Mayor Michael Bloomberg supported the modular concept with his adAPT NYC micro-housing competition last year, allowing for smaller than ever units to be built in the city. 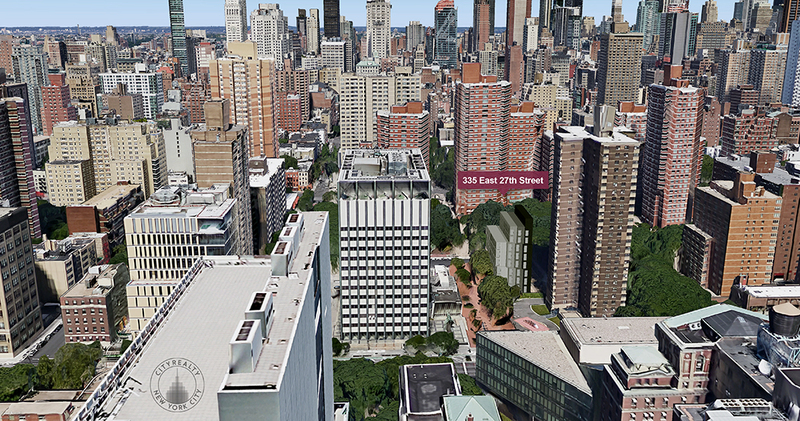 Construction of nARCHITECTS’ winning design for My Micro NY, at 335 East 27th St., in Kips Bay, will begin this year. Also, after 10 years in the works, the Atlantic Yards project in Brooklyn has finally started stacking modules. Modular is hardly new, but the Atlantic Yards project is trying to create a luxury look using prefabricated modules. The challenge was to not have “modular look like modular,” with this particular project, McDaniel said. My Micro NY, with units a mere 325-square feet–previously a prohibited size for the city, will build units that are completely self-supporting. Capsys, the company prefabricating the modules, has been in the Brooklyn Navy Yard for 18 years. There are obvious economic and sustainability benefits when it comes to building modular, but the reason modular hasn’t been more popular is a catch-22, said Tom O’Hara, a director at Capsys, who has been working with modular building for 30 years. Conventional construction is a “design-bid-build” product whereas modular is a “design-build” product, so the developer really needs to be planning for modular from the very beginning. The catch is that there aren’t many modular designer-builders to begin with. Still, much of Capsys’s work includes educating architects and developers on the capabilities of modular construction, which O’Hara said they are very receptive to. Height poses another perceived challenge. Atlantic Yards’ B2, its first residential tower of a planned 15, is set to be the world’s tallest modular structure at 32 stories, but is not free standing. The misconception is that above a certain height, the developer no longer saves money by using prefabrication. “It’s not a cost issue, it’s an engineering issue,” O’Hara said. Modular factories are built to produce a very specific product. Capsys, for instance, designed its factory to be cost competitive in delivering buildings up to 13 feet. For some projects, there are very compelling reasons to go modular—for some, there just aren’t. Construction quality and LEED certification are the basics, O’Hara said, but one example of an added bonus is timeline. 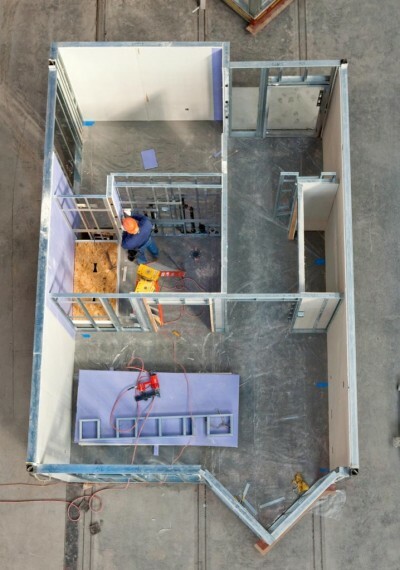 Prefabrication saves time and, more importantly, is able to deliver exactly on a specific opening date, which could be crucial to buildings like student dormitories or event housing. With My Micro NY, for instance, fabrication will start about the same time the general contractor breaks ground. The first module will take about two weeks to go through the assembly line, O’Hara said, and after that one or two modules will come off the line every day. 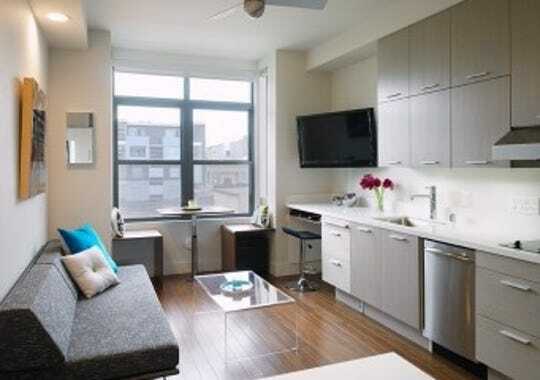 USA Today recently posted this article about how popular small, single occupant apartment rentals (Micro Apartments) have become in urban centers across the US. We will be building our “My Micro NY” Micro Apartment building in Manhattan in 2014 and thought you might enjoy hearing how those outside New York have embraced the case for small footprint living. Construction will start soon on an experimental New York housing complex in Manhattan with 55 “micro-sized” apartments, from 250 to 370 square feet each. The prefabricated units, which will rent for $914 to $1,873 per month, aim to help alleviate the city’s shortage of less-pricey studios and one-bedroom apartments. As more urban dwellers live alone, other U.S. cities are considering similar solutions. Could you live in a single-car garage? That’s about the size of tiny apartments popping up in major U.S. cities where many residents live alone. Inhabitants say the key is keeping only stuff you use. There was no more. She’d seen all 250 square feet of his cocoon, located on a tony, tree-lined street in Chelsea near restaurants, art galleries and bookstores. His monthly rent: $2,500. Though tiny has long been typical in Manhattan, mini-apartments are popping up in more U.S. cities where land is finite, downtowns have regained cachet and rents have risen. In a digital age when library-sized book collections can be kept on a hand-held device, more Americans see downsizing as not only feasible but also economical and eco-friendly. How small? Many anti-McMansions — also known as “aPodments,” “micro-lofts,” “metro suites” or “sleeping rooms” — are about 300 square feet, which is slightly larger than a single-car garage and one-eighth the size of the average new U.S. single-family home (also shrinking in recent years). City officials often welcome this mini-sizing, which is common in Tokyo and many European capitals, as a smart-growth, lower-priced solution to a housing phenom: people living alone. Nationwide, the share of households occupied by a single person reached 27% in 2010, up from 8% in 1940 and 18% in 1970. The number exceeds 40% in Atlanta, Cincinnati, Denver, Pittsburgh, Seattle, St. Louis and Washington, according to Census data. In Seattle, which has led the nation with hundreds of dorm-like “sleeping rooms” as minuscule as 150 square feet, a backlash has taken hold. Boardinghouse-style buildings have replaced single-family homes in residential neighborhoods, prompting complaints by neighbors about parking problems, transiency and fire-safety hazards. Officials have responded by drafting building rules they’ll publish this summer. “It’s an accelerating trend in the industry, especially where space is at a premium,” says Ryan Severino, senior economist at New York-based research firm Reis. “You’re seeing an urban renaissance,” he says, adding Millennials (typically younger than 30) are drawn to cities where they can both work and socialize. They’ll sacrifice space for ‘”quality” location, says Doug Bibby, chief executive of the National Multi-Housing Council, a trade group, noting apartments overall are getting smaller. He says young city dwellers manage with less room by renting rather than buying stuff. “They rent everything,” he says — Zipcars, even wedding dresses. Mini-sizing “is not a fad,” says John Infranca, assistant law professor at Suffolk University in Boston who’s studied projects in New York, Washington, Denver, Austin and Seattle. He expects demand for tiny apartments will continue as more people, young and old, live alone. Yet he says building codes — often requiring larger units — were set decades ago when households were bigger and haven’t kept pace with “radical” demographic shifts. •In the Big Apple, billionaire Mayor Michael Bloomberg — who once lived in a studio for nearly a decade — launched a micro-housing pilot project of 55 units that range from 250 to 370 square feet. The city usually requires apartments be at least 400 square feet. •San Francisco, where new studio apartments rent for at least $2,400 monthly, recently approved a trial run of 375 micro-units as small as 220 square feet. In September, Berkeley-based developer Patrick Kennedy plans to begin building 120 units, each about 270 square feet, with rents starting at $1,800. •In Austin, where rents are soaring as the population booms, the city’s first affordable downtown housing project in more than 45 years breaks ground this week. It will be a complex of 135 studios, each 400 square feet. “We have Texas-sized micro-housing,” says Walter Moreau of Foundation Committees, a non-profit group shepherding the project. Developers say they can’t build micro-housing fast enough. “We don’t do any advertising, and we’re 100% occupied all the time,” says Jim Potter, manager of Seattle-based Footprint Investments. He’s finished six buildings, each with 40 to 60 units, in Seattle and is developing similar projects this year in Portland, Ore., Oakland and Jersey City. “It’s really about price point,” he says, noting his Seattle units with a bed and bathroom but no private kitchen rent for $600 to $900 monthly (including utilities and Wi-Fi) while regular, larger studios start at $1,200. “There’s a substantial waiting list,” says Evan Granoff, who has redeveloped the historic 1828 Arcade building in Providence to include 48 micro-lofts as small as 225 square feet. He says the units, which will open this summer, are modeled after efficient boat interiors and include built-ins such as a futon that converts into a table for four. “It doesn’t feel cramped at all,” he says. HOW DO MINI-DWELLERS DO IT? In Manhattan, where many itsy-bitsy apartments were either built before the current size requirements or illegally subdivided, residents speak with a bit of bravado about their space-saving savvy. “We don’t necessarily look at them as mini-apartments, but as standard, live-in-New York apartments,” says real estate agent Jason Saft. “I lived in about 250 square feet for five years. You really learn how to make it work,” he says, recalling how he once held a dinner party for 10 and even cooked all the food in his tiny kitchen. Changing the ceiling height or flooring materials in different areas can make a studio feel larger, says Donald Albrecht,curator of the Museum of the City of New York. The museum’s “Making Room” exhibit features a full-size, 325-square-foot studio with tricked-out furniture such as an ottoman containing four nesting chairs, a fold-out dining table tucked under the kitchen counter and a TV that slides away to reveal a bar beneath. “What’s important about New York is what’s outside your door,” says architect Eric Bunge, who shared a 350-square-foot unit with his wife for five years. He says they spent a lot of time in their East Village neighborhood and, when friends came over, moved seats around to accommodate them. Bunge, co-partner at the Brooklyn-based nArchitects firm, won Mayor Bloomberg’s adAPT NYC design competition for the city’s micro-housing experiment, which is directed at low- and middle-income residents. His units have built-in storage, 10-foot ceilings and 8-foot windows that open onto a Juliet balcony. “The whole building is your home,” says Mimi Hoang, Bunge’s co-partner, citing communal areas such as dens, rooftop terrace, fitness room and bike storage. She says the project, which will be built as prefabricated modules, aims to break ground before Bloomberg leaves office in January 2014. So do a lot of people. Though environmentalists say density can reduce pollution per person, some Seattle residents oppose micro-housing as “density on steroids.” They say the lilliputian units cause crowding in already congested neighborhoods and the month-to-month leases don’t encourage people to put down roots. Also, opponents say developers circumvent a design review process that entails community input. No such review is needed for projects with a limited number of units, and Seattle allows each unit to house up to eight unrelated people if it has a communal kitchen and living quarters for each. “It’s a severe bending of the rules,” says retired resident Bill Bradburd, adding one residential lot can house 64 residents without any parking spaces./REALLY? Seattle doesn’t require ANY parking for such a development? dk/wk: in certain areas, no He says he favors affordable units of about 400 square feet but says these units often charge more, per square foot, than regular apartments. Seattle planning official Bryan Stevens says the city, which has permitted 28 such projects since 2008 and has 17 more under review, has responded by drafting rules that would require a public design review for each building. Potter, the Seattle developer, says his micro-product provides an affordable option without government subsidy. “It’s not for everyone,” he says. 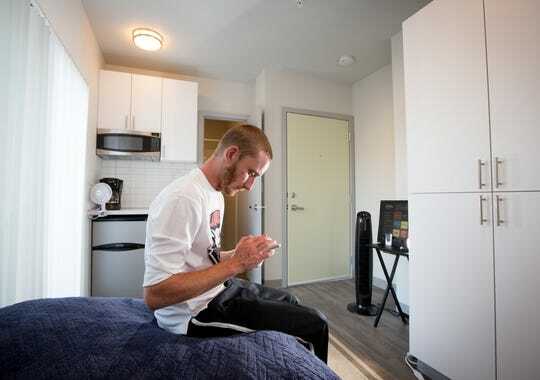 “This is intended for people who are busy and want a place to sleep and take a shower.” He says the units attract a mix of people, but the average age is mid-30s. Joe Rose, 27, a college student, loves his 190-square-foot space that — in his words — is “smaller than a hotel room” and rents for $880 a month. He shares a balcony with a neighbor, cooks in the communal kitchen and, for the first time in his adult life, gave up his car for public transit. Modular Construction in Australia: They get it!